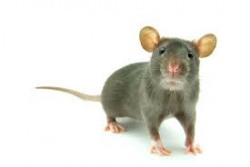 Q – My pest control company told me I have rats in my basement and they believe in my attic as well. They have quoted us $5,220 to seal everything and get rid of them. While I’ve not heard any scurrying of little feet my pest guy insists he has. Also, no rats have been caught in the traps they laid out. Am I getting played here or what? A – While I can not speak to the scurrying noises, here are a few things you can do to do a little detective work on your own. First of all, clean any critter waste you come across. Then, obviously, if new droppings appear, you will know you have an active infestation. Clean-up is an important job when it comes to rat control. Clean and wash any suspected areas. Also, do this: if you see burrows in your attic insulation, disturb them so you will be able to see if a new burrow appears. Be clean and be vigilant, and you will soon enough know if you have a rat problem. Also, in the state of Georgia, you have a 3 day right to cancel a pest control or termite contract. So if you felt like you were pressured, or just want to do a little more research, relax a bit. You have 3 days to cancel. I don’t know about the pricing either, but make sure it comes with some guarantees. I know of companies that will rid you of the pest, seal up your house for a price, and if you ever have that problem again, will come back and rid and seal again for free.